Automatic dispensing system with 6 parallel tap units, tilting unit with manual glass height adjustment, touch screen for container selection, foam control and display of filling level, temperature and pressure, simple operation with button control in automatic and manual operation. 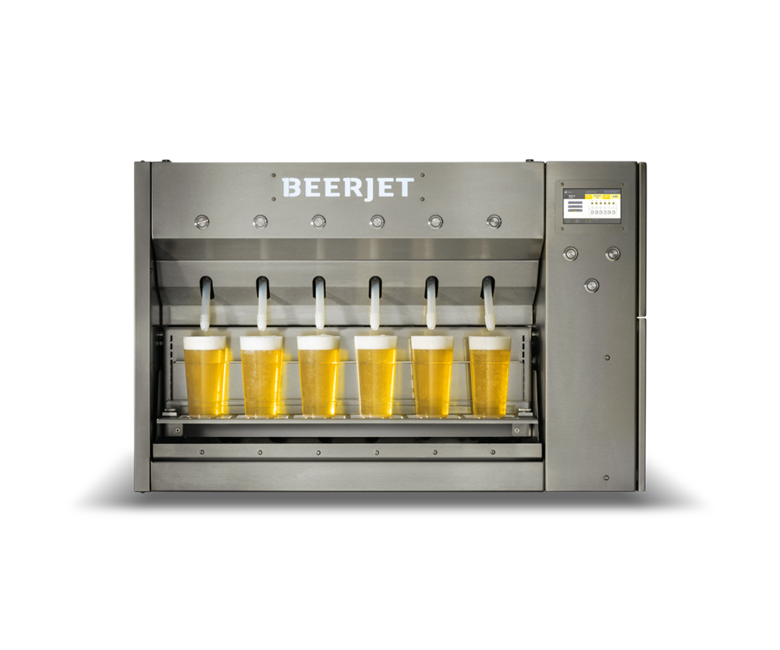 BEERJET™ has an integrated tank system which is cooled by an external chiller and permanently filled to ensures an appropriate beer supply. Thus, uninterrupted pouring is guaranteed even when changing the kegs.